Quinoa is a staple food in Peru, but unfortunately here in the U.S. little else is known about this country's amazing cuisine. We're trying to change all that by featuring a week's worth of delicious Peruvian dishes from our friend Nico, author of the stunning blog Pisco Trail. 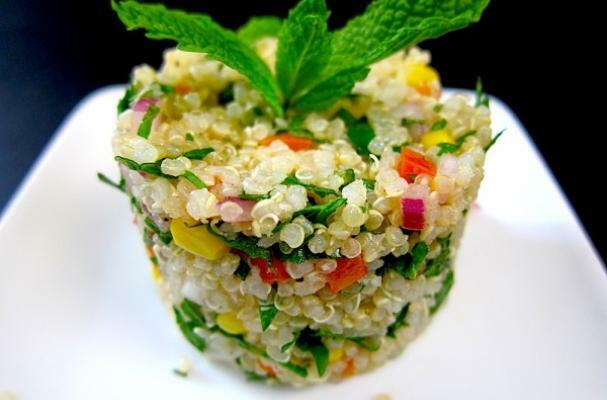 His recipe for Quinoa Tabbouleh Salad fuses the cuisines of his home country with that of the Middle East. The result is a beautifully vibrant and healthy salad that's full of fresh herbs, citrus, mint and Peru's "Mother Grain." Get the full recipe here! **Want to learn more about Peruvian food and cooking? Join us this October (2014) for the Foodista Culinary to Peru! Learn more here!